JCRC’s ReachOut! presents the opportunity to volunteer across Greater Boston, and to build community through shared learning and Jewish experiences. Join other young professionals in their 20s and 30s and make an impact! 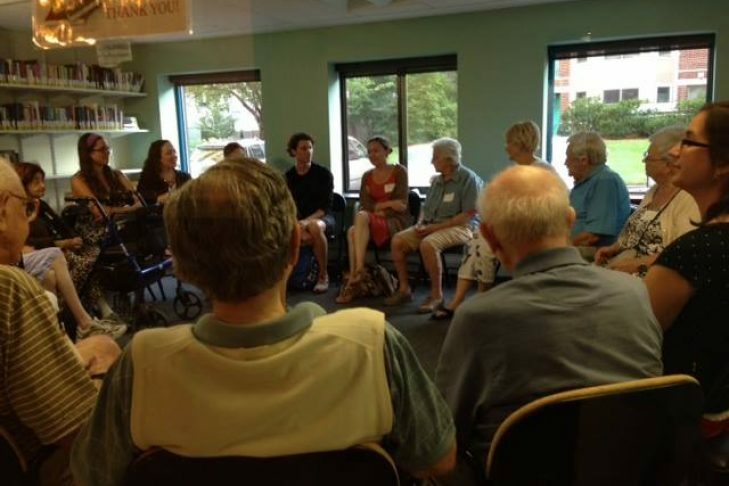 Join us at Golda Meir House as we host an opportunity to have intergenerational conversations with seniors! Weather permitting, we will be outside enjoying the summer air! YOU MUST REGISTER FOR THIS EVENT! Space is limited, so sign up while you can! Save 2016-08-15 18:30:00 2016-08-15 19:30:00 America/New_York Volunteer at Golda Meir House Saved from https://dev.jewishboston.com/events/volunteer-at-golda-meir-house/ Golda Meir House, 160 Stanton Ave, Newton, MA 02466 JCRC's ReachOut! Volunteer at Community Servings with JCRC’s ReachOut!